The Constitutional Studies minor provides interdisciplinary training in the politics, history, and philosophy of constitutional government. As an interdisciplinary liberal arts major, it aims to help students achieve the following outcomes: to gain general knowledge of constitutional government in the United States and abroad and to develop effective communication, analytical and critical thinking skills. While completing this minor might constitute excellent preparation for law or graduate school, it is not a prerequisite for any further study of the law. With an impressive 13-to-1 student-to-faculty ratio and modest class sizes, Carroll students enjoy the opportunity to establish close relationships with their instructors and receive individualized attention from professors, who maintain a keen interest in their students’ achievements. Carroll professors are committed to providing rigorous academic challenges in an atmosphere that values ethics and moral principles. You will emerge from Carroll prepared to lead and succeed in both your work and personal endeavors. Check out Facebook for the latest news from Carroll's Political Science Department! A minor in consitutional studies can help lead to many careers in federal, state and local governments; law; business; international organizations; nonprofit organizations; campaign management and polling; journalism; electoral politics and teaching. Specific career opportunities include Activist, Advocate/Organizer, CIA Analyst or Agent, City Planner, City Housing Administrator, Congressional Office/Committee Staffer, Coordinator of Federal or State Aid, Corporate Public Affairs Advisor, Customs Officer, Federal Government Analyst, Foreign Service Officer, High School Government Teacher, Immigration Officer, International Agency Officer, International Research Specialist, Legislative Analyst / Coordinator, Lobbyist, Policy Analyst, Political Commentator, Pollster, Public Affairs Research Analyst, Public Opinion Analyst, State Legislator, University Administrator and University Professor. 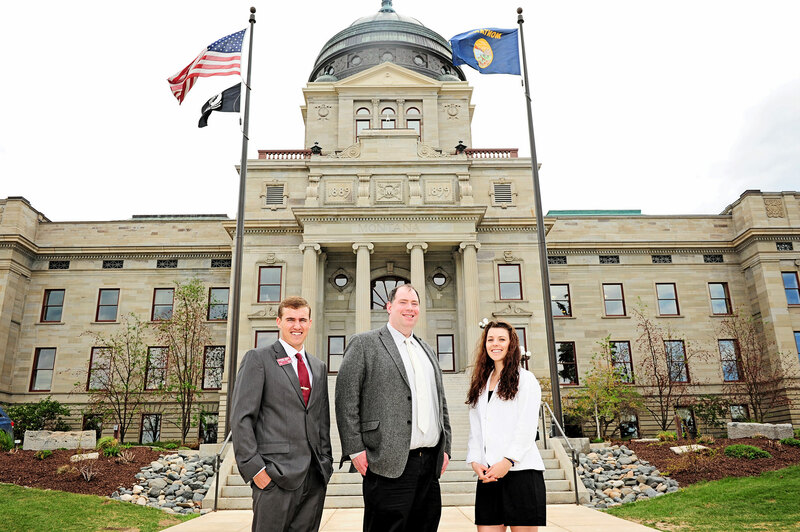 Thanks to a generous gift by the Apgar Foundation, Carroll College is excited to announce the commencement of a yearlong program entitled Executive Authority and Constitutional Government. Gain practical work experience through the Political and Legal Internship Program. Your writing, speaking, and critical thinking skills will be developed through the courses offered. Diverse courses will give you experience in political science, history, theology, and philosophy.